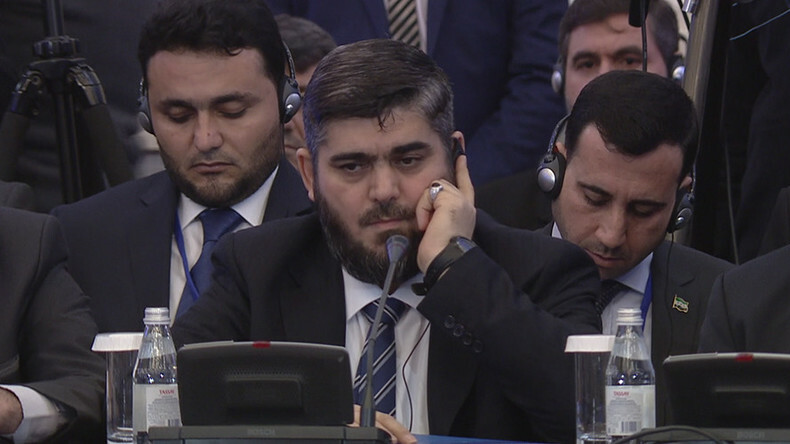 Two days of peace talks on Syria have kicked off with frosty exchanges between the principal negotiators, Damascus’ UN envoy Bashar Jaafari and the delegation of armed rebels headed by Mohammed Alloush, the leader of the Islamist alliance Jaysh al-Islam. 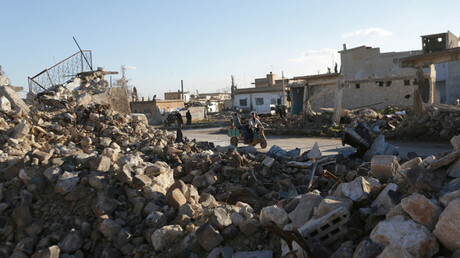 “The current difficult situation in Syria has drawn the attention of the entire world. I have to admit that the bloody conflict, which has continued for about six years, has brought nothing but misery and sorrow to the holy land where different civilizations and cultures lived,” he said. The Syrian government and armed opposition held a brief face-to-face meeting, sitting opposite each other at an oval table as the talks began on Monday. The meeting, which was also attended by the Turkish and Iranian delegations, has managed to bring the warring sides together in the same room – an effort that has continuously failed at other international conferences on Syria. Both sides said they will not have face-to-face negotiations in the Kazakh capital. The live broadcast from the opening remarks showed the presence of Mohammed Alloush, the leader of Jaysh al-Islam, which is a coalition of Islamist and Salafist units operating in the Damascus area, particularly in the city of Douma and region of Eastern Ghouta. 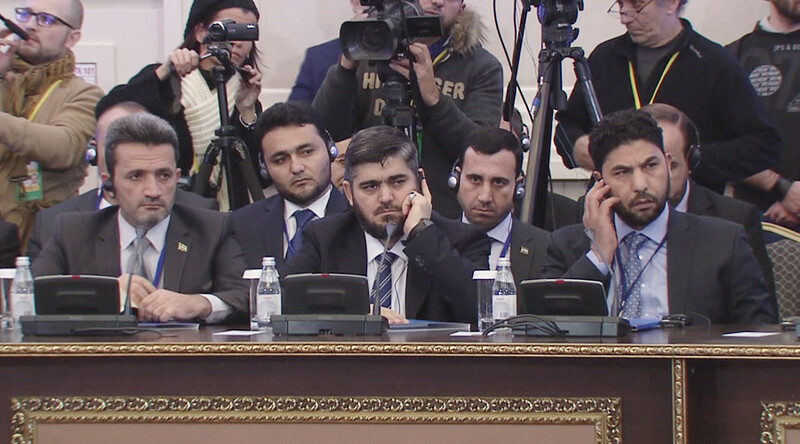 Alloush said that Syrian opposition groups and Damascus have not yet held any direct talks in Astana. He added that the Syrian opposition wants peace but is ready to go on with their struggle. “The ceasefire should be implemented before we start considering other issues,” he said, as cited by TASS. As the two parties apparently bickered behind closed doors on what the agenda of the meeting should be, sponsors called for compromise and a continuation of the truce brokered by Russia, Turkey and Iran last month. Russian Foreign Minister Sergey Lavrov said on Monday the Syrian government and rebel groups should engage in direct dialogue, which some international players wanted to prevent. “There have been attempts to prevent direct contact between the government and the armed opposition. Those attempts have been neutralized and such contact happened,” he said, adding that the talks in Astana would not undermine the position of the so-called political opposition, which is part of the peace process in Geneva. “We are not trying to oust the political opposition from the process, but we want the armed groups to take full reorientation in this process too, and we believe that Astana talks are directed at making an agreement on that,” Lavrov explained. The host nations are expected to announce the outcome of these on Monday before the actual start of the talks. The two-day event is being held at the Rixos hotel in Astana, with the hosting Kazakh government providing additional security. Some 300 journalists from around the world are covering the high-profile gathering, which hopes to cement a lasting ceasefire in Syria. On Sunday, Russia, Turkey and Iran held trilateral consultations ahead of the talks that lasted more than five hours and were described as “tough” by a member of the Russian delegation. “The preparations [to the talks] are going on intensively,” he said after the consultations, adding that Russia, Iran and Turkey “managed to bring closer their positions on most issues on the agenda,” Russian president’s special envoy to Syria, Aleksandr Lavrentiev has said. Later on Sunday, the Russian delegation held consultations with the Syrian government and the opposition delegations to conciliate their positions ahead of the talks. Lavrentiev stressed that Russia was doing its best to bring together the viewpoints of the warring parties. “We are not looking for easy solutions in this long-standing conflict but we are doing everything we can to bring together the positions of the parties to this conflict: the Syrian government and the opposition,” he said. Jaafari said on Sunday that there are still differences which the two sides are trying to overcome. “We have not reached yet a clear joint understanding of these two aspects [achieving a lasting ceasefire and fighting terrorism],” Jaafari told RT. “Further consultations with delegations that have arrived in Astana will come to clarify the picture and to achieve the definitive understanding of these two issues, without omitting other questions, of course,” the Syrian representative noted. The head of the Russian delegation also stressed that the parties to the negotiations should focus on “areas of common interest” instead of differences while expressing hope the delegations would be able to successfully overcome all the differences during the talks. The meeting between the “three countries who have an influence on the fighting sides is an important one,” de Mistura told RT. The Astana talks can “produce a cessation of hostilities” and that’s exactly “what the Syrians are looking for,” he stressed. “If the Syrian regime thinks our presence in Astana is a surrender by us, this is a delusion,” he said. The negotiations came to fruition after the three nations - Russia, Turkey and Iran - brokered a partial ceasefire between the Syrian government and some opposition groups last month. The deal managed to significantly restrain the intensity of hostilities in Syria, but both the government and the rebels regularly complain of violations. 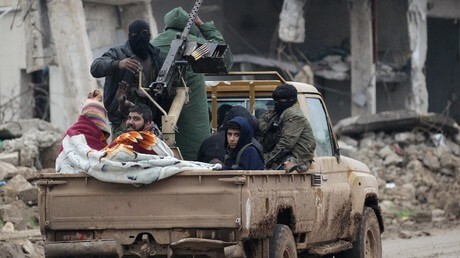 The truce however, does not include such terrorist groups as Al Nusra Front or Islamic State (IS, formerly ISIS/ISIL), with IS currently engaged in a massive offensive against government forces in the Deir ez-Zor province.